Applicants age limit 17-20 years as on 21 July 2019. Candidates may apply both offline & online for soldier post. Male and female candidate can apply for sainik level. if any one want to apply by Teletalk Mobile they have to follow www.sainik.teletalk.com.bd web site process. 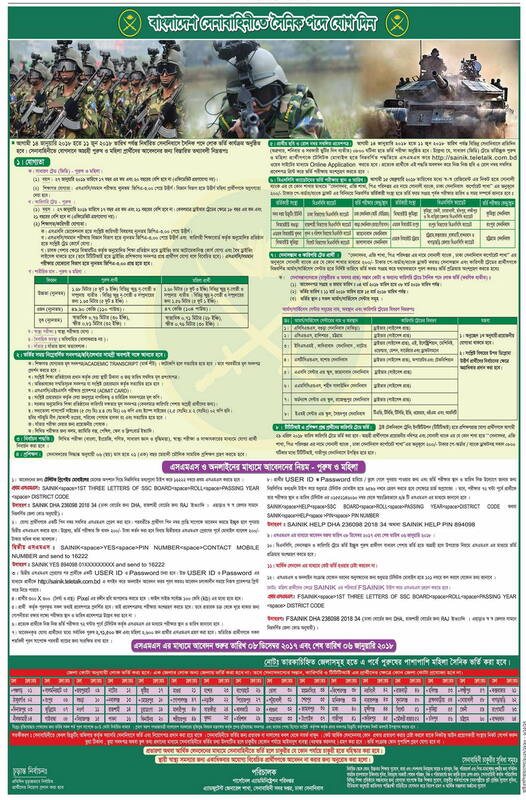 Applicants can apply online from www.joinbangladesharmy.mil.bd web portal.